We are now 6 weeks into our new year and there has been a lot of activity. Our treasurer told me that we had actually raised $179,400 last year! I knew we had done better than previous years but didn’t realize just how much! So cool! 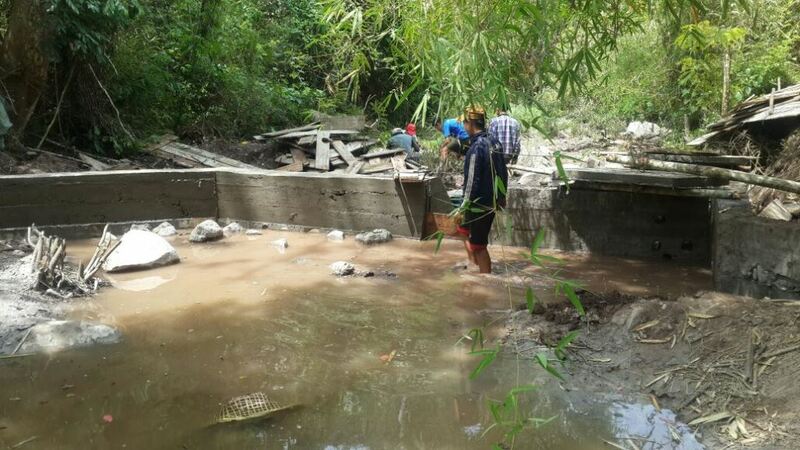 As it turned out, the big water project for Meung Xuen actually came in about $600 under budget! 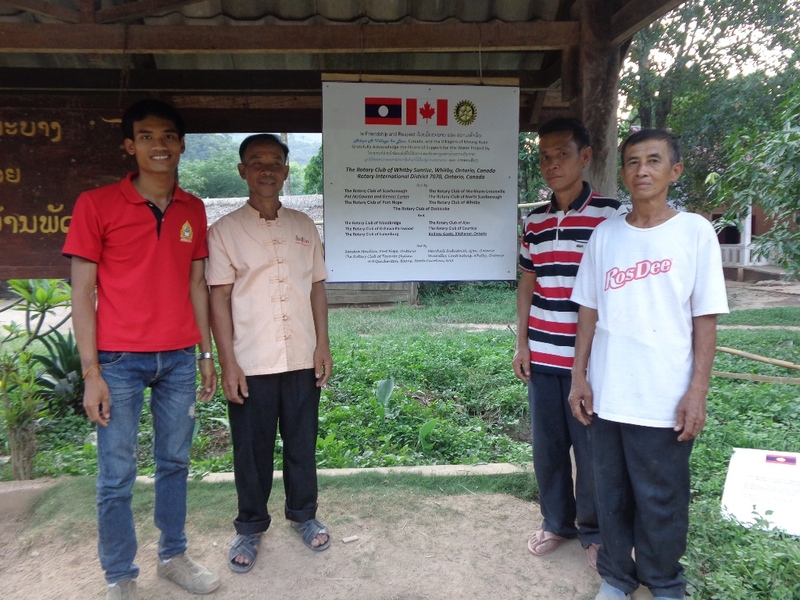 Vieng Hin Water Project – $67,000 – includes dam, some new taps, and about 7k of pipe. We are hoping to make this a completely Rotary Funded project. We are about 1/3 of the way there. University Students – $9,000 – still short about $1500, assuming other commitments come through. If you want to help, don’t hesitate to contact us! 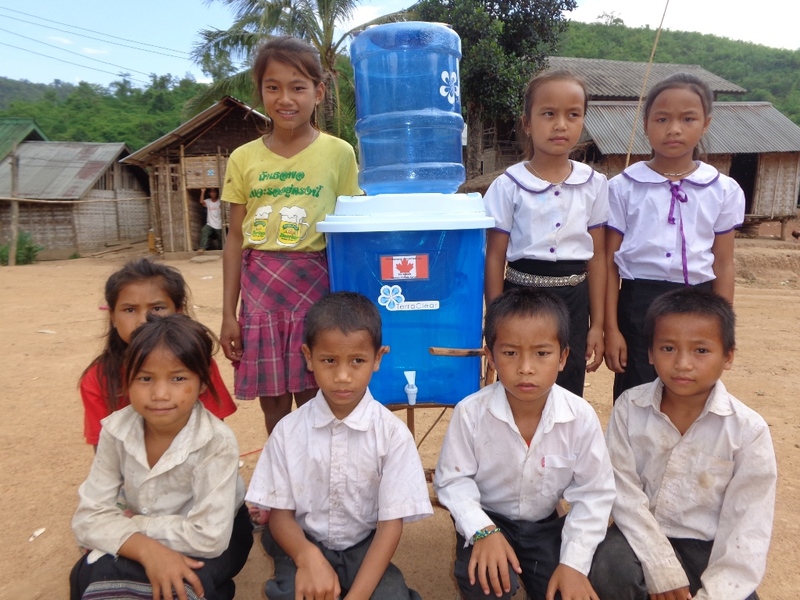 School – $30,000 – this is our share – we are joining forces with a Winnipeg NGO to build a 5-room school with toilets and running water. We have raised about half of the funds needed. Days for Girls (new trial program) – $1000. Subject to reaching our other targets, we will be starting a new program to provide femine pads to the girls of a secondary school. This will improve enrollment and drop-out rates for young ladies. Reserve Project – $7,000+ – We will be researching an additional project, donations received on behalf of a dear friend of so many, that passed away early this year. So that is about it for next season – I have to admit that I am a bit worried about the vlue of our Canadian dollar, still subject to further erosion but am crossing my fingers that it starts to recover. To date there have been a number of fundraisers that have happened to help us reach our numbers. 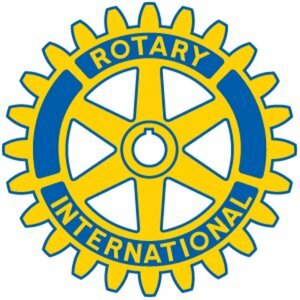 In addition I have been doing a lot of presentations and volunteering to assist other organizations and Rotary clubs to help them reach their own targets. Stay tuned, but meanwhile, if you wish to assist us, please don’t hesitate to contact us anytime. On a final note, we were fortunate to be written up in the Rotarian Magazine. The magazine is distributed to 1.2 million Rotarians around the world. You may have to highlite the link and paste it into your browser. 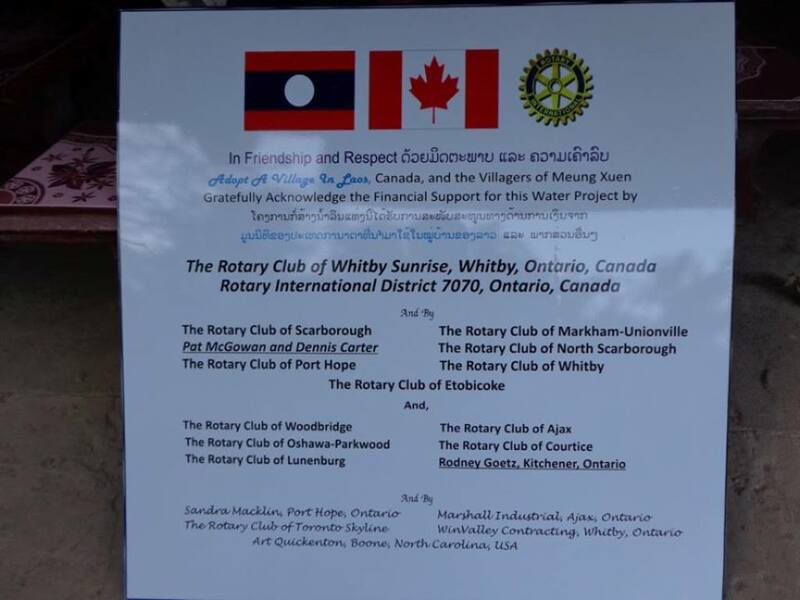 Special thanks to Rotary for posting this and to Renee and Peter McLachlan for the amazing picture they sent to Rotary International for the photo contest. Summer 2015 – where has it gone? Upon review of my last post I realize that I had not reported on the completion of our largest water project to date. It was iffy as to whether or not we were going to be able to do it in the fiscal year ending June 30, 2015 but we did it. With a $46,000 shortfall due to a number of geopolitical issues and our low Canadian dollar value, we had to re-evaluate our projects. Through some later, but very generous donations, re-engineering of the large water project (saving us just under $12,000), a cancellation of a small toilet project and other smaller savings, we did it. I posted many of the pictures of the work in progress but here are a couple more. How does one give appropriate thanks to the amazing support of so many Rotary Clubs and very special individuals? You have made such a huge difference and changd the daily lives of so many. We also managed to slide in a small water filter distribution on the very last day of our fiscal year, distributing 120 water filters to rural families…these cover about 600 people. 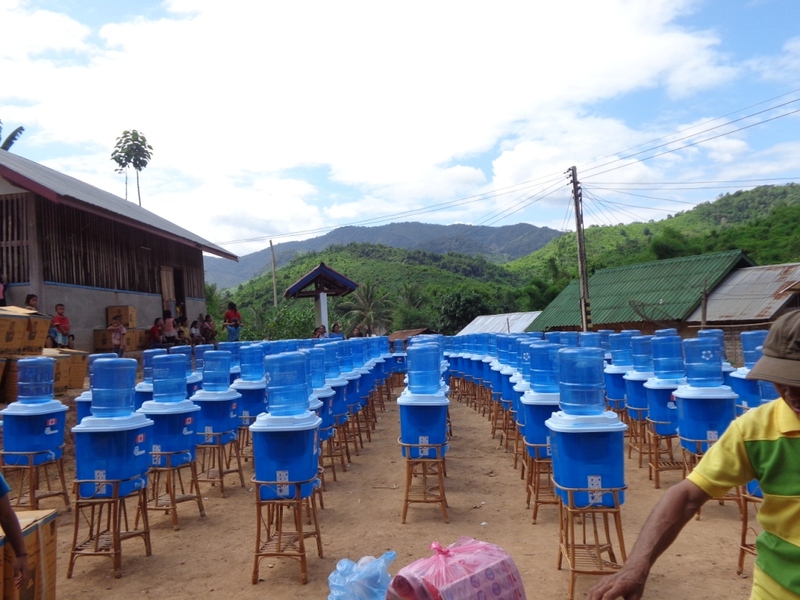 Everyone in the village now has a water filter and has been given a hygiene course. We will visit again upon my return in November to ensure that diarhea, caused by water borne bacteria, has been eliminated.